After years of designing and prototyping, SKO has developed a different kind of hair towel. A hair towel that won’t damage your hair the way traditional towels do. A hair towel that will allow your other products to do their job and do it well. A hair towel that will prime your hair for optimal styling. SKO Hair Towel's exclusive, patent-pending design will NEVER rough up your cuticle, destroy your curl pattern or create friction against your hair shaft. Each strand of hair on our bodies has an outer layer and an inner layer. The outer layer, or cuticle is made up of ‘shingles’ and are layered much like roof shingles. When the shingles are flat and smooth against each other, light will reflect off of them giving your hair a shiny quality and smooth feel. But the main purpose of the cuticle layer is to protect the inner layer, the cortex. 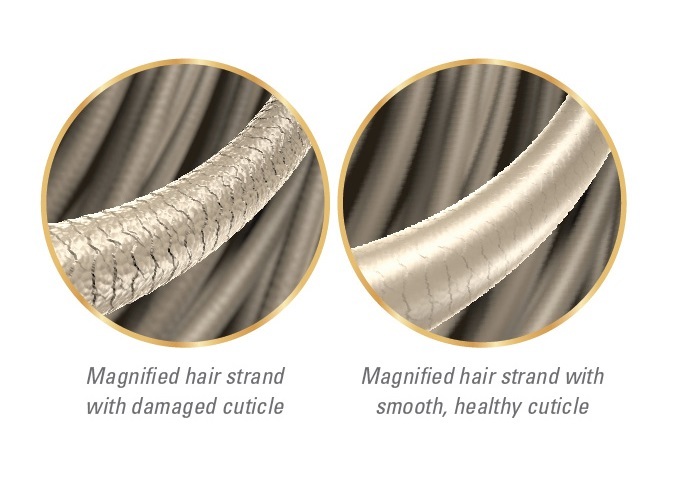 The cortex is the core of each strand, giving hair its strength and flexibility. SKO’s hair towel will keep your cuticle smooth after the shower so you’ll have the perfect curl, the perfect color or the perfect blow out. All the time. Every time.